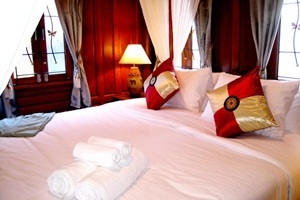 Jaroenrat Resort Amphawa 8 out of 10 From 1,168 Baht (38 USD) 1 ratings. 5 user reviews. Samut songkham is the classical Thai home " Baan Thai " located on the main river side with 52 units of standard room and villas which all are comfortably equipped with modem amenities, and our restaurant is always on service for all-day dining withinternational cuisine. 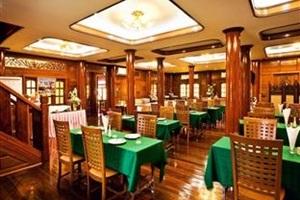 The resort also provides the banquet and meeting room. To make each guest's stay comfortable, all rooms feature non smoking rooms, air conditioning, desk, in room safe, television, shower, mini bar. Also to be found at the hotel are laundry service/dry cleaning, meeting facilities, room service, tours, car park. The hotel provides superior recreational and leisure facilities including pool (kids), outdoor pool, garden. Comfort and convenience are the hallmarks of Jaroenrat Resort. Jaroenrat Resort can be easily booked with our secure online booking form. Simply enter your dates and click to proceed.